Welcome to our Sage 200c User Guide download page! Below, you will find our library of free Sage 200cloud guides to help you with a number of different processes from adding a new company, performing your month and year end and even how to process payments. Our guides are designed specifically to help you, streamlining your processes to give you the freedom to focus on what you do best. Get access to exclusive Sage 200cloud updates, resources and free webinars. This Guide is designed for Administrators and/or IT teams. It shows you how to install Sage 200c on a client machine, in the easiest and most efficient way possible. This guide is designed for administrators of Sage 200c On-premise. It walks you through the steps involved in creating a new company within Sage 200c. This Sage 200c user guide walks you through the key steps involved in both creating a new user and also controlling what information/functionality they can access. This guide is designed for administrators of Sage 200c On-premise. It walks you through the key steps involved in creating a new role within Sage 200c. This guide is designed for users of Sage 200c. It walks you through the steps involved in adding a report to your menu in Sage 200c. This guide is designed for beginner users of Sage 200c. It walks you through the general navigation within Sage 200c as well as any basic steps. This guide is is designed to talk you through the process of doing EC Sales Reporting within Sage 200c including producing the output file for HMRC. This guide is designed for administrators of Sage 200c On-premise. As Sage 200c uses a SQL database to handle its backups. This Sage user guide is designed for those more advanced report designer users who want to know how to create a drill down report within Sage 200c Report Designer. This guide is designed for new users of Sage 200c or those who simply want a refresher on the month end process in Sage 200c. This guide is designed for new users of Sage 200c or those who simply want a refresher on how to process large volumes of payments from within Sage 200c. This guide is designed for users of Sage 200c who want to use analysis codes within either Sales Ledger, Purchase Ledger, SOP and POP. Our Sage 200 training courses can be on-site or online. We offer Sage 200 Report Designer, Business Intelligence or a tailored bespoke training course, made just for you. This guide is designed for new users of Sage 200c or those who simply want a refresher on the VAT return process in Sage 200c. 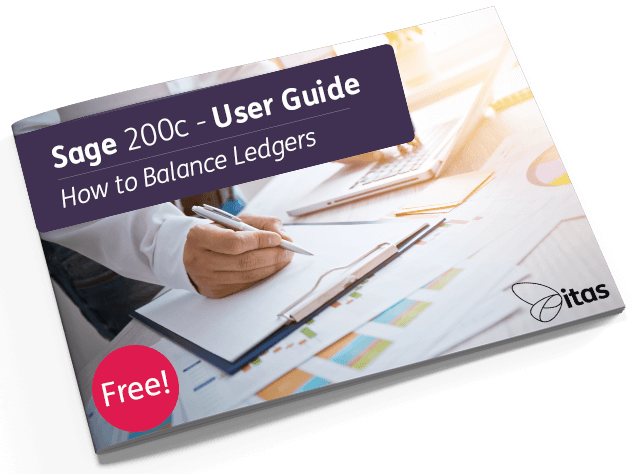 This guide is designed for all Sage 200c users, showing you how to get 3 FREE reports that you didn't know you're entitled to! This guide is designed for new users of Sage 200c or those who simply want a refresher on the year end process in Sage 200c. This guide is designed for all levels of Sage 200c users, looking to utilise the brilliant tool that is Mail Merge within Sage 200c. This guide is designed for new users of Sage 200c or those who simply want a refresher on how to Add a New Online User in Sage 200c. This guide is designed for all levels of Sage 200c users. Taking you though every step in the process of configuring the email settings on layouts and reports. This guide is designed for all levels of Sage 200c users. Showing you every step necessary when importing transactions and accounts into Sage 200c. This guide is designed to help you create Journal Templates. Going through the 3 different methods, making the journaling process in Sage 200c as easy as possible. This guide is intended to help you set up Purchase Order Authorisation within Sage 200c. We go through creating rules, including who the authorisers are. This user guide is intended to help you with the Bank Reconciliation process within Sage 200c. you will be taken step-by-step through all the steps to complete this process. We offer a variety of Sage 200 support packages to fit in with your business needs. Whether you're new to Sage 200 or you've been using the software for a long time, we have the right Sage 200 support services for you.